· Grúpa Tuismitheoirí agus Leanaí Éanna (Stay & Play). Come along, there is something for everyone, young and old. Maybe even a cup of tea or coffee and a chat too. 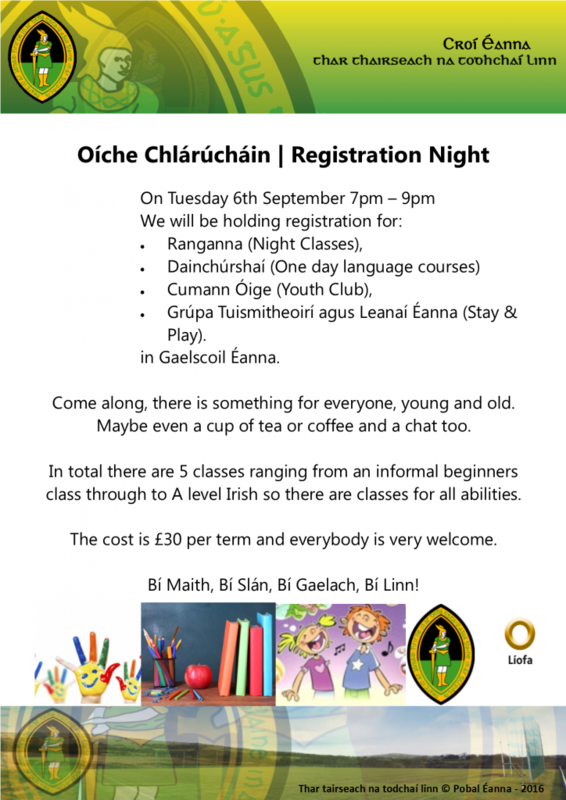 In total there are 5 classes ranging from an informal beginners class through to A level Irish so there are classes for all abilities. The cost is £30 per term and everybody is very welcome. Bí Maith, Bí Slán, Bí Gaelach, Bí Linn!